Nara is within easy day trip distance of cities like Kyoto and Osaka. It’s also very close to Kansai International Airport. In this section, I give the best, fastest and cheapest ways to reach Nara from these places. Nara is 35 kilometers south of Kyoto City and about 28 kilometers east of Osaka. Thus, it’s within easy day trip distances of these cities. Of course, if you want to slow down and enjoy Nara a bit more, it makes sense to stay a night in Nara to really explore the area. Check here for recommended Nara hotels and here for recommended Nara ryokan. Nara is also very close to Kansai International Airport. Nara is connected to all of these places by a rich network of transport links that include trains, buses, private cars etc. Here, I’ll give you the lowdown on how to get to Nara from nearby cities and airports in the fastest and most efficient manner. Easily the best way to get from Kyoto to Nara is train and there are two rail lines that connect the two cities: JR and the private Kintetsu Line. The Kintetsu is the fastest and most comfortable way to get there. Just be sure to take a direct express (tokkyu). This is the way I always get to Nara and I recommend it for those traveling without a JR Rail Pass. 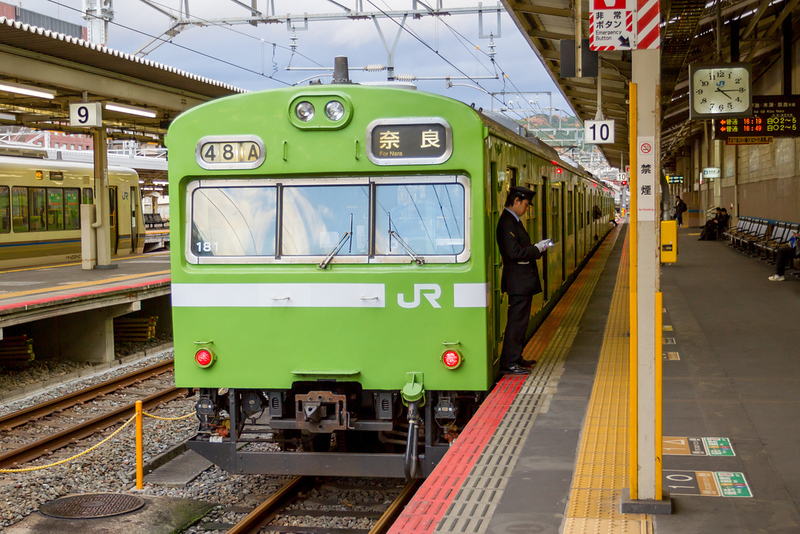 If you have a JR Rail Pass, you’ll want to take the JR line. I recommend the Miyakoji Kaisoku Express on the JR Line in this case, because it only takes 45 minutes. Nara is even closer to Osaka than it is to Kyoto. As is the case with Kyoto, you can choose between the JR Line and the private Kintetsu Line. Note that the JR Line departs from JR Osaka Station, while the Kintetsu Line departs from Kintetsu Namba Station (a couple stops south of JR Station on the Midosuji Subway Line). The Kintetsu Line is the faster of the two lines and this is the best choice for those traveling without a JR Rail Pass. Those traveling with a JR Rail Pass will want to take the JR Line, which is also quite fast and comfortable. If you’re coming from other parts of Japan like Tokyo, Nagoya, Kobe or Hiroshima, the best way to get to Nara is to take the shinkansen (bullet train) to Kyoto and then follow the above instructions from Kyoto. You can get to Nara from Kansai International Airport (KIX) easily by train or limousine bus. The latter is easiest if you have luggage, the former is the best choice for those traveling with a JR Rail Pass who wish to save money.